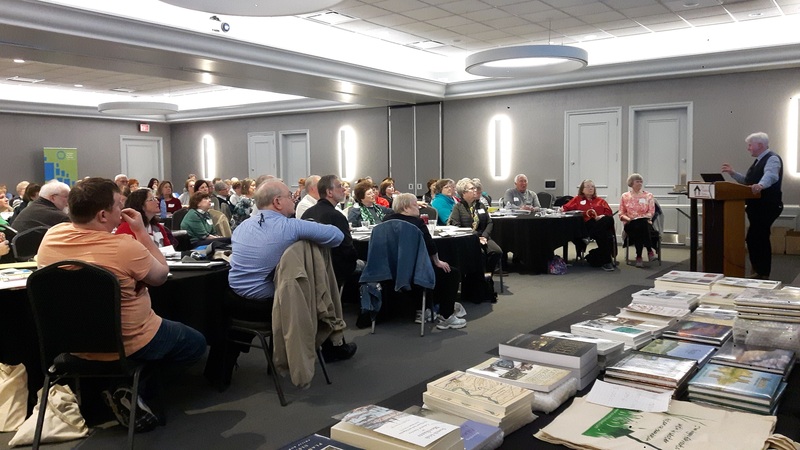 In partnership with Plainfield Public Library, the Fountaindale Public Library are hosting a full day Irish Genealogy Workshop with Fintan Mullan and Gillian Hunt from the Ulster Historical Foundation. This multi-session day will help you break down the walls in your Irish genealogy research. Enjoy light snacks, handouts, door prizes and the opportunity to purchase Ulster Historical Society books. Please bring a seat cushion and a brown bag lunch. This program is free; however, attendance is limited to 60 in the main meeting room, and 25 in the overflow webinar room. Due to the popularity of this event, walk-in registration may not be available. The Foundation’s staff, Fintan Mullan and Gillian Hunt, have been invited to deliver a week-long course entitled, Researching Your Irish and Scots-Irish Ancestors at the 2018 British Institute in Salt Lake City, UT from 15 to 19 October 2018. The course is an in-depth programme designed to give the interested genealogist maximum benefit from the knowledge and skills of the presenters. It is suitable for both the beginner and those more experienced. The British Institute is a prestigious event hosted annually by the International Society for British Genealogy and Family History. In 1718, more than 500 Scots-Irish men, women, and children arrived in Boston from Coleraine and Londonderry. In the same year, even more settlers made their way to other settlements across the New England colonies. These journeys mark the largest influx of Scots-Irish families to America. Join NEHGS, the New Hampshire Historical Society, and Gillian Hunt and Fintan Mullan from the Ulster Historical Foundation for a special genealogical seminar celebrating the 300th anniversary of this Ulster Scot migration. Discover the history of the Scots-Irish people and learn how to uncover the resources and records for your family history research.